For those not in the worldwide drug game, Silk Road was a website that basically acted as an Ebay for drugs. It was created in 2011 by someone known only as DRP, aka Dead Pirate Roberts, and quickly grew in popularity with enterprising drug dealers and drug addled customers looking for their next hit. Unfortunately it wasn’t meant to be. On October 2nd, 2013, the FBI shut the site down after arresting Robert William Ulbricht, who they allege is DPR, on charges of murder for hire and narcotics trafficking. 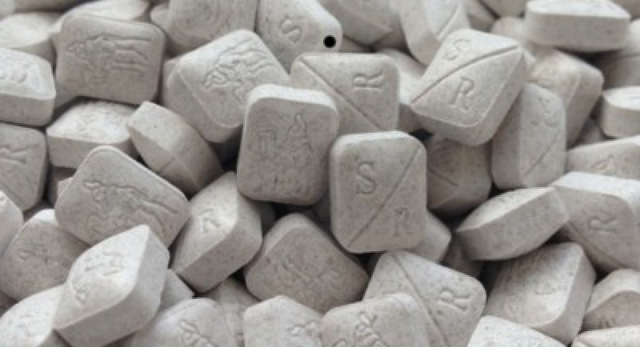 In honor of the site’s memory, special edition ecstasy pills have been made to commemorate the site. They feature “S/R” on one side of the pill along with the site’s camel logo on the other side. Apparently the FBI hasn’t learned for its bout with internet pirating. A number of sites have risen from Silk Road’s ashes, like Sheep Marketplace, who’s selling the commemorate ecstasy pills. Due to their enterprising nature, limited edition pills don’t really surprise me. In fact, it just goes to show how smart some drug dealers are. I firmly believe people show be free to screw themselves up as they see fit. So kudos internet dealers! Keep on keepin on.